Evidence for the protective benefits of cannabidiol (CBD), the non-psychoactive plant cannabinoid produced by the cannabis plant, is quickly mounting up. Studies have found that CBD oil can influence myriad metabolic and immune processes, and that long-term dietary use may bring many important benefits. Evidence for the protective benefits of cannabidiol (CBD), the non-psychoactive plant cannabinoid produced by the cannabis plant, is quickly mounting up. Studies have found that CBD can influence myriad metabolic and immune processes, and that long-term dietary use may bring many important benefits. 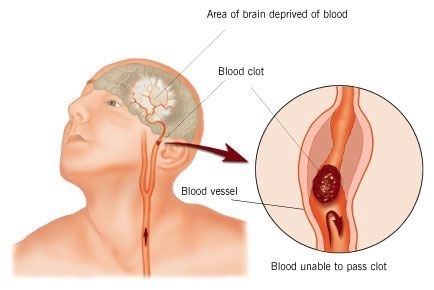 CBD has been shown to be effective against ischemic stroke and several other neurological disorders (© ConstructionDealMkting) Orally-administered CBD has been shown to exert a neuroprotective effect against ischemic stroke (a form of stroke caused by obstructed blood vessels in the brain), Alzheimer’s disease and Parkinson’s disease. There is also some evidence that CBD could confer an advantage in schizophrenics, while THC alone may exacerbate some symptoms of the disease. In the above study, THC alone was shown to be associated with more severe schizophrenic symptoms than THC combined with CBD. Perhaps most relevant to medical practice today, cannabidiol has been repeatedly shown to provide dramatic relief for sufferers of severe childhood-onset epilepsy, such as the type known as Dravet syndrome. This disease causes fundamental, permanent disability in sufferers, as the number and severity of seizures prevents normal brain development. Dravet syndrome often presents initial symptoms at around age 2, and typically causes a total regression of development achieved prior to onset of the disease. The ability of orally-administered cannabidiol to reduce seizures (in some cases, from hundreds per week to just one or two per month) may represent a chance for children who would otherwise be condemned to permanent disability to develop almost entirely normally. 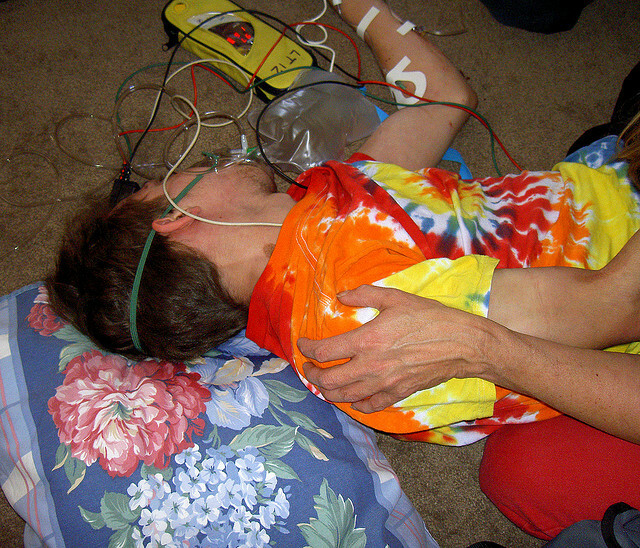 Open-label clinical trial on safety of CBD for intractable childhood-onset epilepsy, 2015: 36.5 percent reduction in seizure rate; high rate of adverse side-effects (mostly non-severe); randomised trials needed. Investigational new drug trial on interactions between CBD and common epilepsy medicine clobazam, 2015: 50 percent reduction in seizure rate in 70 percent of subjects; high rate of side-effects alleviated by reducing clobazam dose; safe and effective. One of the potential adverse side-effects of CBD reported in the above-mentioned clinical trials was that of reduced appetite. While this may certainly be an unwanted side-effect for many medical cannabis patients, there are plenty of people out there who would gladly use a non-toxic, effective dietary supplement that helps to reduce appetite and thereby control weight gain. THC has been repeatedly shown to increase appetite by stimulating the ghrelin receptors, which are situated on the vagus nerves of the gastrointestinal tract. Ghrelin is a naturally-occurring compound known as the “hunger hormone”; when its receptors are activated, the nerves send messages to the brain that food is required. Just as CBD blocks the action of THC at the cannabinoid receptors, it also blocks it at the ghrelin receptors. Furthermore, it actually appears to block the action of ghrelin itself, meaning that it could act as an effective appetite suppressant. Another interesting recent area of research is the potential for cannabidiol to manage the symptoms of diabetes. In 2006, a study was published showing that CBD significantly reduced the occurrence of diabetes in non-obese diabetes-prone mice; since then, at least one follow-up study has been published, and there has also been some research into the potential for CBD to treat complications of diabetes in humans. Another major way that orally-administered CBD can provide health benefits is in the management of chronic inflammatory bowel diseases such as Crohn’s disease. 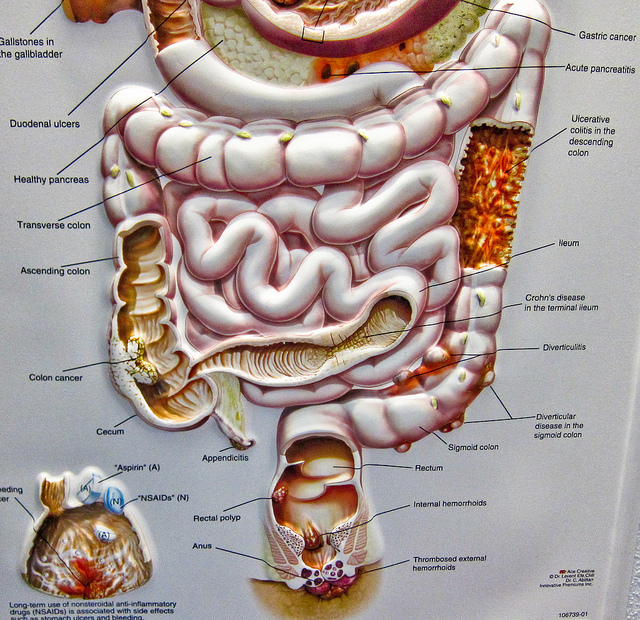 Crohn’s can be a severe and debilitating illness, in which chronic inflammation in the gastrointestinal tract causes tissue to break down and die. Currently incurable, it is characterised by periods of normality interspersed with “flare-ups”. Although Crohn’s may be mild, and is rarely lethal in its own right, most sufferers experience disruption to their lives, and an increased risk of lethal diseases such as bowel cancer. It has been shown several times in preliminary research that CBD can provide a protective effect against Crohn’s and other forms of inflammatory bowel disease. An Italian study published in 2008 indicated that cannabidiol exerts its anti-inflammatory effect via the CB?-receptor. The study also concluded that the effect in mice was “significant”, and that CBD could make a promising target for research in humans due to its low toxicity and proven effectiveness in animal models. However, other research suggests that CBD may also exert its effects via a mechanism independent of the principal cannabinoid receptors, perhaps via a receptor known as peroxisome proliferator-activated receptor-gamma. Cardiovascular disease is the biggest killer in the world, and is responsible for approximately one in every three deaths each year. 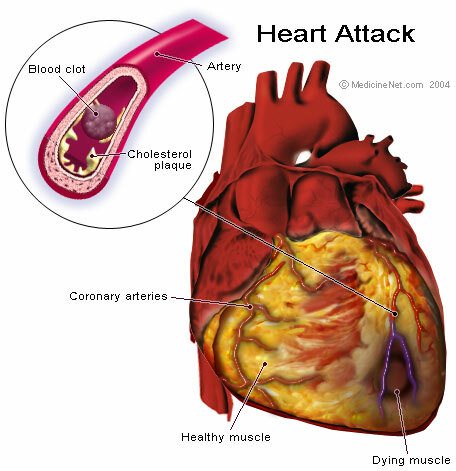 In 2012, 7.4 million people died of ischemic heart disease and 6.7 million from stroke. We have already seen that CBD can help to protect against the damage caused by ischemic stroke, and it there is also evidence that it can help to protect against damage subsequent to ischemic heart disease. In 2007, a study was published investigating the effects of CBD on myocardial ischemic reperfusion injury, a type of ischemic heart attack. It was found that CBD reduced the area of the infarct (the damaged tissue) by 66 percent, likely via its demonstrated ability to reduce inflammation and oxidative stress. The study concluded that CBD had a “substantial cardioprotective effect” in rats, and due to its safety record, would make a good target for research in humans. 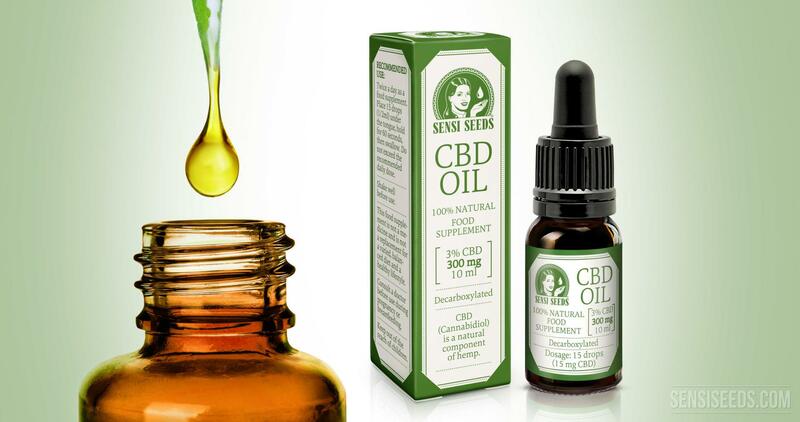 Several other studies have demonstrated CBD’s cardioprotective potential. A 2010 study investigated the effect of cannabidiol on diabetic cardiomyopathy in mice, as well as human cells in vitro. It was found that CBD reduced the extent of oxidative stress, fibrosis, inflammation, cell death and overall cardiac dysfunction in both mice and human cells. Diabetic cardiomyopathy is a severe complication of diabetes that can lead to heart failure; diabetes itself is another of humanity’s biggest killers, so new therapies that can ease its burden are desperately needed. What about the “entourage effect”? Don’t I need THC? There is evidence that administering THC in combination with CBD has a heightened efficacy compared with CBD or THC alone for some diseases and illnesses. For example, clinical trials by GW Pharmaceuticals during the development of Sativex indicated that CBD and THC in combination were more effective than either alone, for symptoms of multiple sclerosis, rheumatoid arthritis and intractable cancer pain. However, this entourage effect does not necessarily apply across the board, and CBD has great potential to help many conditions, with no requirement for THC. Currently, CBD is less legally problematic than THC, and can be sold without prescription in many countries as there are no restrictions on its use (this is true in the European Union, although the situation is a little murkier in the US). Therefore, while we wait for full legalisation to be established, those that need it can nonetheless derive significant benefit from CBD alone. To date, while the entourage effect has been demonstrated for certain conditions, we still have a great deal to learn about the finer points of the mechanism. Cannabinoids are not just limited to THC and CBD; there are approximately 120, including the better-known types such as THCV, CBG, CBC, CBN, as well as hundreds of terpenes (aromatic compounds that are known to have medicinal properties in their own right). The study of how these other compounds could influence the entourage effect is in its infancy, and even when we are just looking at the THC/CBD effect, we are far from having a complete understanding of the ratios and dosages needed for all the illnesses that are thus far known to be applicable. So will CBD work for me? For individuals suffering from certain conditions, regular dietary CBD represents a serious chance at an improved quality of life. This appears to hold most true for sufferers of Dravet syndrome or similar forms of epilepsy, as well as for Crohn’s and other forms of inflammatory bowel disease. But even for individuals who do not suffer from a chronic illness, consistent use of dietary CBD may confer significant benefits. Many neurological diseases (such as Alzheimer’s and Parkinson’s) are related to age-related decline, and may affect any individual. As well as this, heart disease and diabetes are extremely common, and as noted, are among the biggest killers of humanity. Although genetics plays a significant role in basic susceptibility to many such conditions, lifestyle also plays an important (and possibly even greater) role, and maintaining a healthy diet is a cornerstone of a healthy lifestyle. One should not expect that taking CBD oil as a supplement will negate any other negative lifestyle practices. Rather, one should strive to follow good dietary and lifestyle practices across the board, and use supplements as the name suggests – to _supplement _an already-healthy life and boost one’s chances of good long-term health.